Mozilla and Tactical Technology Collective opened a pop up exhibit in Manhattan to raise awareness about data privacy and security. NEW YORK: In Lower Manhattan, there is a trendy, modern pop up shop that doesn’t sell anything. Instead, The Glass Room is raising awareness about data privacy and security with an eye-opening exhibit. Mozilla, the nonprofit maker of the Firefox browser, and Tactical Technology Collective, a German nonprofit that explores how technology affects lives, teamed up with experiential marketing agency MKG and Allison+Partners on the idea and execution of The Glass Room. "Internet-related issues are so intangible," said Jascha Kaykas-Wolff, CMO of Mozilla. "This space of privacy and security is not a movement that has been popularized yet, and we wanted to make it popular. The Glass Room is part of a global movement raising awareness for internet health." Data security is a hot topic in the media after the presidential election was plagued by reports of hacking. And on Wednesday, Yahoo disclosed that 1 billion user names were affected by a data breach that took place in August 2013, breaking the record of 500 million in a 2014 breach that Yahoo announced three quarters ago. Kaykas-Wolff called it a "particularly poignant point in time to be aware of all the interconnected pieces." The pop up, launched on Black Friday, will be open through this Sunday in Lower Manhattan. The Glass Room has five displays, each a look at a person’s online personal data and the tech companies that have access to it with art, data, and interactive elements. Kaykas-Wolff said several thousand people have visited. 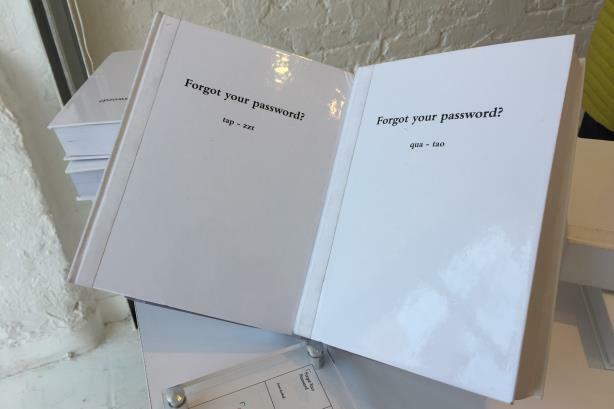 Displays include a set of books full of passwords from the 2012 LinkedIn hack to a physical web of the companies owned by Google parent company Alphabet to real-life surveillance products like a tracker for an elderly parent. 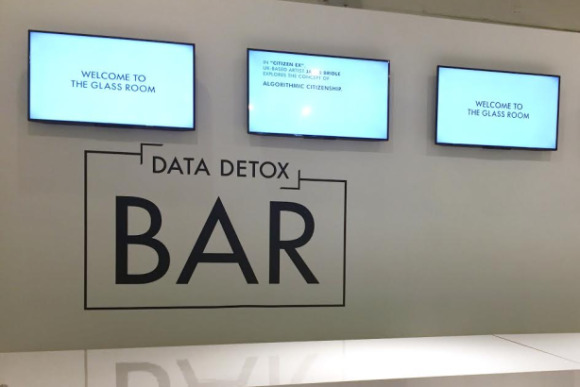 It ends with a Data Detox Bar, where visitors can talk to an "InGenious"—a play on the Genius Bar in Apple Stores—about how to protect data. Mozilla ranks third in the web browser race with about 7% of market share, according to StatCounter.com, trailing Chrome (49%) and Safari (13%). However, since its 2003 launch, the Mozilla Foundation has touted its commitment to making the web safe and accessible for users, and it has offered tech-education programs and advocated for Net Neutrality. Marek Tuszynski, cofounder of Tactical Tech and curator of The Glass Room, said most people feel some discomfort when walking through the exhibit. However, its goal is to make visitors more aware of the web of data and surveillance around them, not throw away their cell phones or disconnect from the internet, he explained. "The use of technology is so simple, but our conversations about it are so hard and so technical," he said. "[In The Glass Room,] at some point you’re laughing, you’re raising your brow, or your saying, ‘Wow, that’s creepy.’"
The idea came about after Kaykas-Wolff and his team met the cofounders of Tactical Tech at their exhibit at a Berlin museum. Since March, they have partnered on bringing a similar exhibit to the U.S. The beauty of a pop up store is that it is "transportable," Kaykas-Wolff said. The two organizations are planning to move it to other cities in the U.S. and Europe, set up at universities, airports, or malls to raise awareness data security. "Internet health for us provided a great description to get behind a larger issue of data and security," Kaykas-Wolff added. "It’s incredibly important to make those intangible topics very tangible. The experiential efforts like The Glass Room are a very important part of the overall awareness effort." Yahoo 'irresponsible' over data disclosure, says PR - or can it win public sympathy?